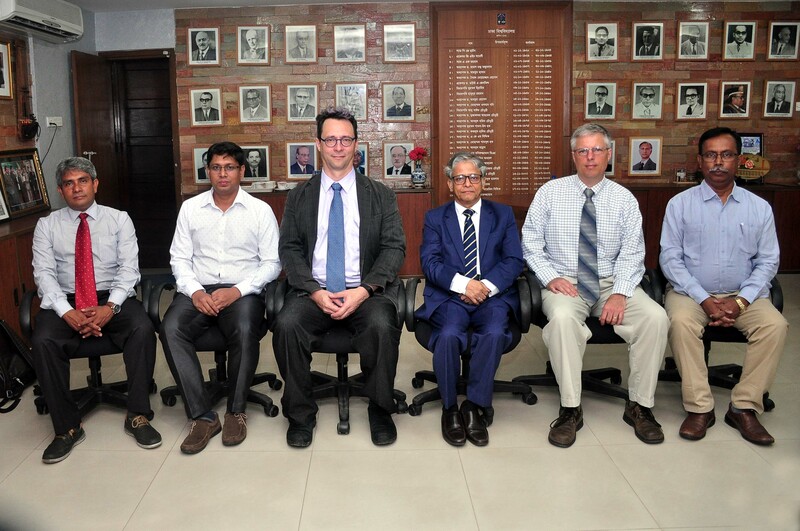 Prof Dr Steve Goodbred and Prof Dr Jonathan M Gilligan of Vanderbilt University in United States of America (USA) met Vice-Chancellor (VC) of Dhaka University (DU) Prof Dr Md Akhtaruzzaman at his office on the campus on Tuesday. During the meeting, they discussed the possibilities of strengthening the ongoing joint collaborative academic and research programmes on climate change, environment, river erosion, water pollution and arsenic being conducted by the two universities. The professors stressed on the need for producing more experts and environmental scientist in Bangladesh to reduce risk of vulnerable people in the coastal areas, reports UNB. They also discussed about signing a Memorandum of Understanding (MoU) to promote education and research in this regard. Prof Dr Kazi Matin Uddin Ahmed, chairman of Department of Geology of DU and Dr Md Monirul Islam, Associate Prof of Fisheries Department of DU were present on the occasion.